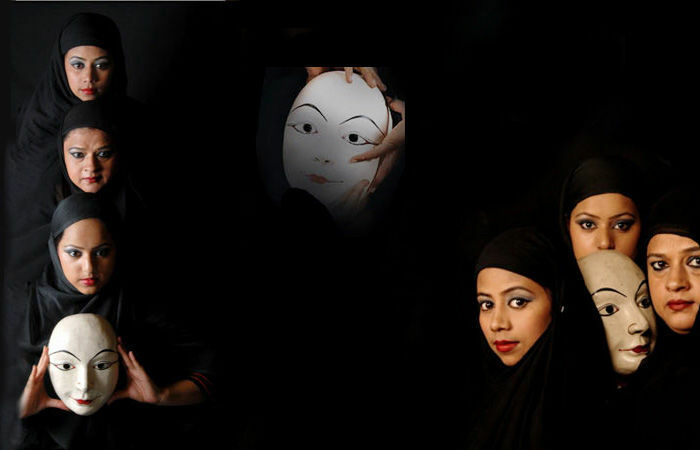 BLACK & WHITE : First of its kind dance production for the rights of muslim women & women in general: The dance production highlights the suppressions faced by Indian Muslim women celebrating their successes despite impediments. It….. about the provisions of Muslim personal law as contained in the Quran and the Hadiths about their rights but because of ignorance of these provisions, we are not able to update with the current time and are facing problems. The voice has been raised for their rights. This dance production is critically acclaimed by the media and has received outstanding applauses from art connoisseurs. It…… deals to reveal the strength & potential of a woman to create her own identity irrespective of circumstances & environment. SHIVER : Performance showing the key issue of South Asian women and HIV/AIDS. UN TENDER TOUCH : an exquisitely, crafted piece that narrates the volatile stories of woman.